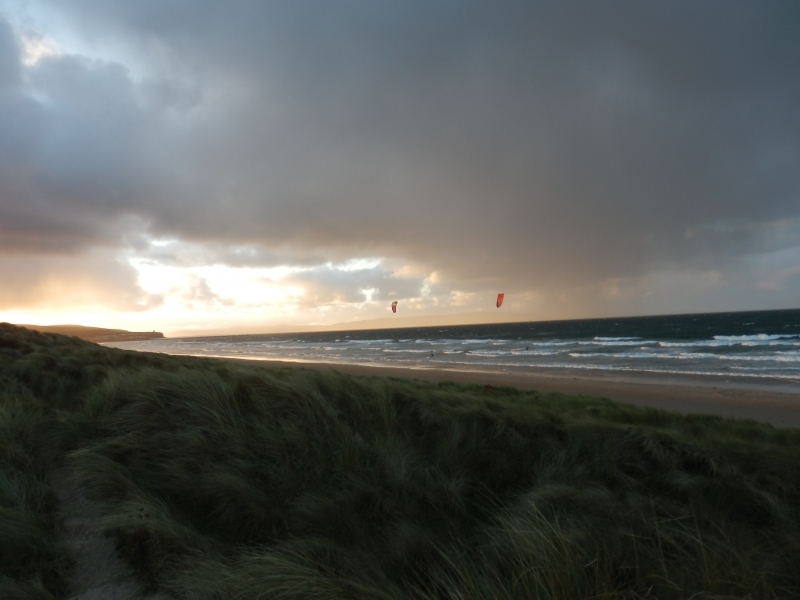 Port Stewart Strand is a sandy two mile beach backed by sand dunes. Designated as an area of special scientific interest, the Strand is an important nature conservation area with a variety of plant and wildlife. Leisure activities include childrens play area. Owned by the National Trust. The tide at Portstewart Strand Beach is currently falling. Low tide will be at approximately 7:42 AM, and the next high tide will be at approximately 2:51 PM. Access to the beach is ideal for wheelchairs and prams with car parking available on the beach itself. Visitor information for Portstewart Strand Beach, Londonderry, Northern Ireland. Weather, tides, visitor comments, beach facilities, photos, nearest postcode, beach information and nearby accommodation.